Republican Mark Harris, left, and Democrat Dan McCready. 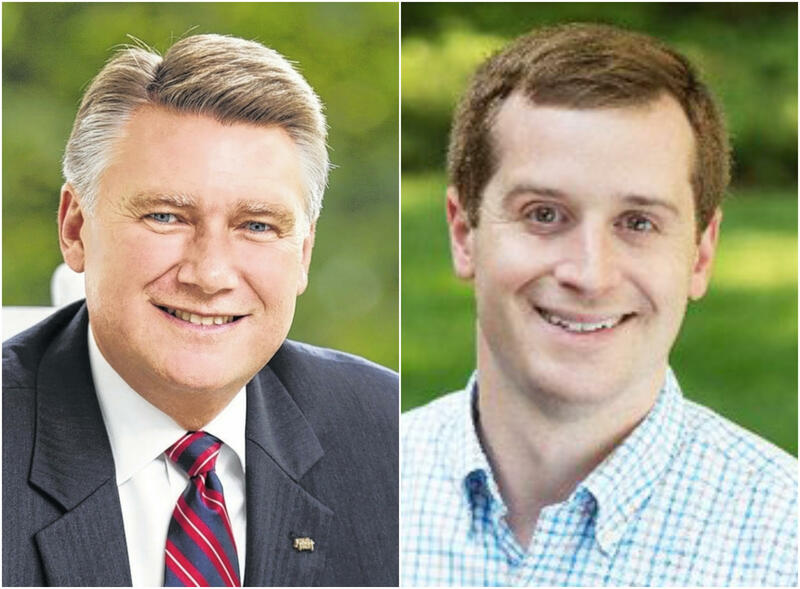 After a hearing into possible election fraud in the 9th Congressional District race between Republican Mark Harris and Democrat Dan McCready, the N.C. State Board of Elections has called for a new race. Unofficial results in the November general election showed Harris won the race by a slim margin of 905 votes, but irregularities with absentee mail-in ballots from Bladen and Robeson counties prompted an investigation by the elections board. You can find all of our stories on the 9th Congressional District here. 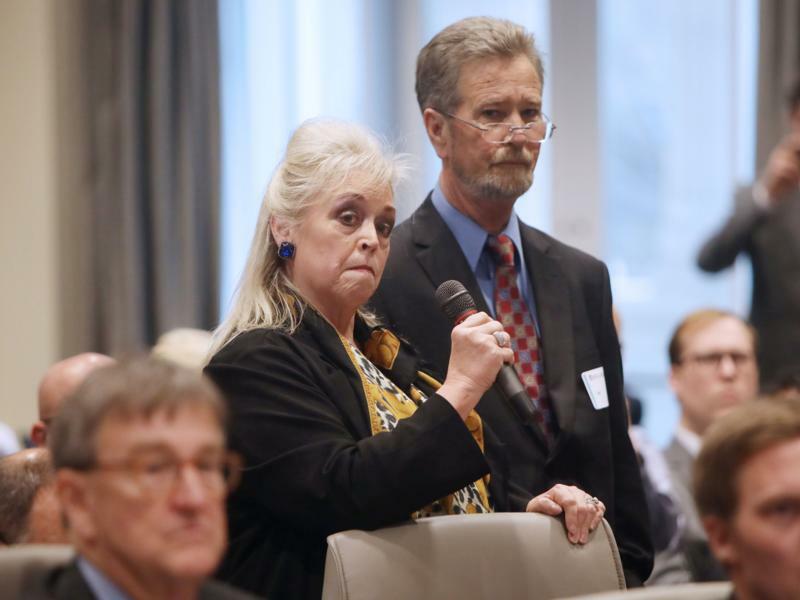 Question At GOP 9th District Forum: Who Can Beat McCready? Early voting begins next Wednesday, April 24, in the Republican primary for the 9th Congressional District seat. The seat remains unfilled after state elections officials invalidated last November's results because of absentee ballot fraud. Mark Harris, the Republican who led unofficial results in that race, isn't running. But 10 other Republicans are - and eight showed up at a candidate forum Tuesday in south Charlotte. 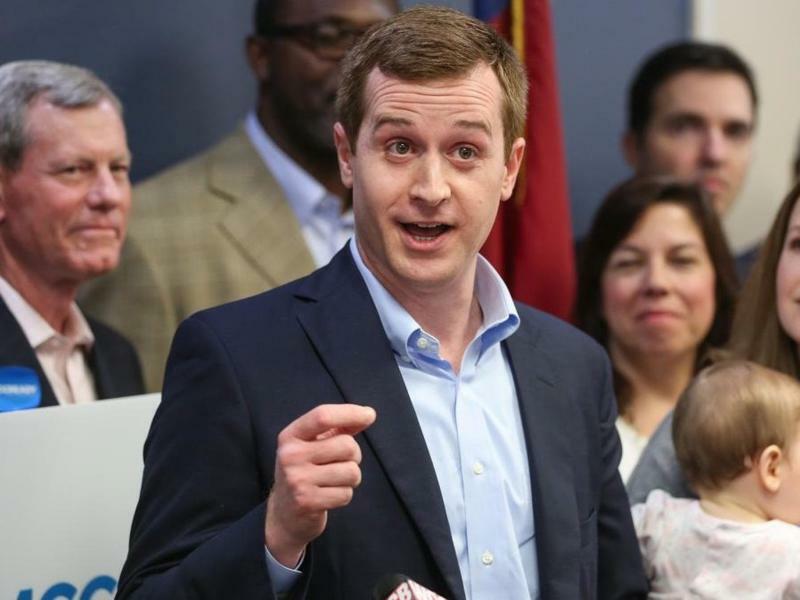 Democrat Dan McCready said Tuesday he's raised over $1.6 million for his 9th Congressional District campaign. McCready is the only Democratic candidate running in the special election for the seat in a district that spans from south Charlotte to Lumberton. The North Carolina Board of Elections is navigating some constantly changing terrain right now. There's a handful of special elections, lawsuits over photo ID and redistricting, a justice department subpoena, and election security. On top of all that, there's ballot fraud in the 9th Congressional District. Charlotte attorney Bob Cordle was appointed to the board in December and then again in January, when the makeup of up it changed due to court order. He's now the board's chairman. He talked with WFAE's Lisa Worf. Mark Rumsey reports on candidate line-up for NC's new 9th Congressional District election. The ballot is set for a new election in North Carolina’s 9th Congressional District. The race includes a crowded field of candidates in the Republican primary, which will be held just over eight weeks from now. Mecklenburg State Sen. Dan Bishop - the last Republican in the county's legislative delegation - has filed to run in the special election in the 9th Congressional District. Union County Commissioner Stony Rushing is a staunch defender of Mark Harris. Stony Rushing got a quick surge of recognition soon after Mark Harris endorsed him in the 9th Congressional District special election. Not from the endorsement, but from a costume. The U.S. Justice Department issued a subpoena last week to the North Carolina Board of Elections, asking for "all documents related to the investigation of election irregularities" in the 9th Congressional District investigation. The March 6 subpoena said the Justice Department will be convening a grand jury April 16-18 in the Eastern District of North Carolina. The clock has started on special elections in the state's 3rd and 9th congressional districts as long anticipated arrests continue in the investigation of corruption and election fraud in Bladen County. North Carolina Board of Elections Executive Director Kim Strach and her chief investigator on Tuesday gave Wake County's district attorney documents and information from the state's probe of absentee mail fraud in Bladen and Robeson counties from the November election, a elections board spokesperson said. More than three months have passed since the 2018 midterm elections and North Carolina’s 9th Congressional District is still without a representative in the U.S. House. After an investigation and an eventful four-day hearing found evidence of ballot fraud in the midterm race, the state elections board decided that there will be a new election in the district come this fall. The N.C. Board of Elections voted Monday to hold the party primaries in the special 9th Congressional District election on May 14. North Carolina's 9th Congressional District won't have a representative until at least September. The state Board of Elections on Monday set primaries for May 14. The general election is scheduled for Sept. 10. North Carolina is redoing an election to decide who will represent its 9th Congressional District, after an investigation uncovered evidence of election fraud during the 2018 midterms. Mitch McConnell On NC Ballot Harvesting: Why Is It Legal In California? Collecting mail ballots is illegal in North Carolina. But it's OK in some states, including California. Three years ago, former California governor Jerry Brown, a Democrat, signed a bill allowing anyone to pick up a voter’s absentee mail ballot. Neal Kelley, who's with Orange County’s registrar of voters, said the law dramatically changed the November 2018 election. McCrae Dowless, an operative in North Carolina's unresolved congressional race, has been arrested and charged with obstruction and illegal ballot possession related to the 2016 and 2018 elections. Former Gov. Pat McCrory said Monday morning he has been approached numerous times about running for the 9th Congressional District seat, but he has decided he doesn't have the "fire in the belly" for a Congressional bid. A day after the North Carolina Board of Elections voted to hold a new election in the 9th Congressional District, Democrat Dan McCready kicked off his second attempt to win the seat. 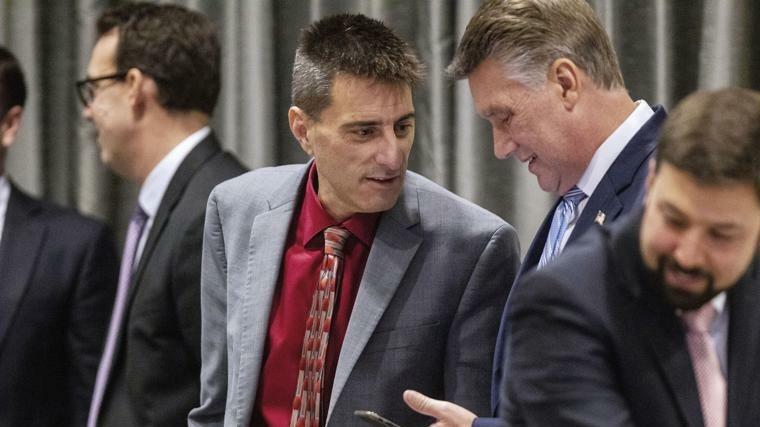 During the North Carolina Board of Elections investigation into fraud in the 9th Congressional District race, Executive Director Kim Strach and lead investigator Joan Fleming interviewed John Harris, one of Mark Harris’ three children. The interview was not expected to be significant, and Joshua Lawson, the elections board attorney, said he did not attend. Mark Harris had fought hard to get the results of his 9th Congressional District race certified. He sued in an attempt to be declared the winner and went to this week’s state elections board hearing intending to continue his fight. So it was a stunning announcement when he took the stand for a second time yesterday and read from a prepared statement and called for a new election. Democratic Party Chairman: Will GOP 'Disavow' Harris? 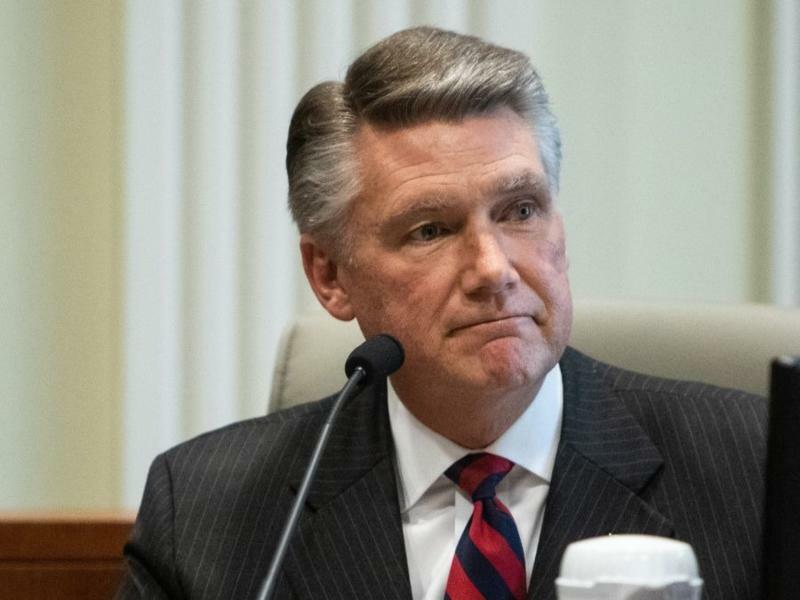 Now that there will be a new election in the North Carolina's 9th Congressional District, state Democratic Party Chairman Wayne Goodwin is curious if the Republican Party will stand by Mark Harris. Goodwin spoke to WFAE's All Things Considered host Mark Rumsey shortly after the state Board of Elections ordered a new election. Dallas Woodhouse is the executive director of the North Carolina Republican party. He has attended each day of the state elections board's hearing into allegations of election fraud in the 9th Congressional District. He spoke with WFAE Morning Edition host Lisa Worf about the hearing. Lisa Worf: N.C. GOP Executive Director Dallas Woodhouse joins us now. Dallas, thanks for coming on. Dallas Woodhouse: Hey, thank you.